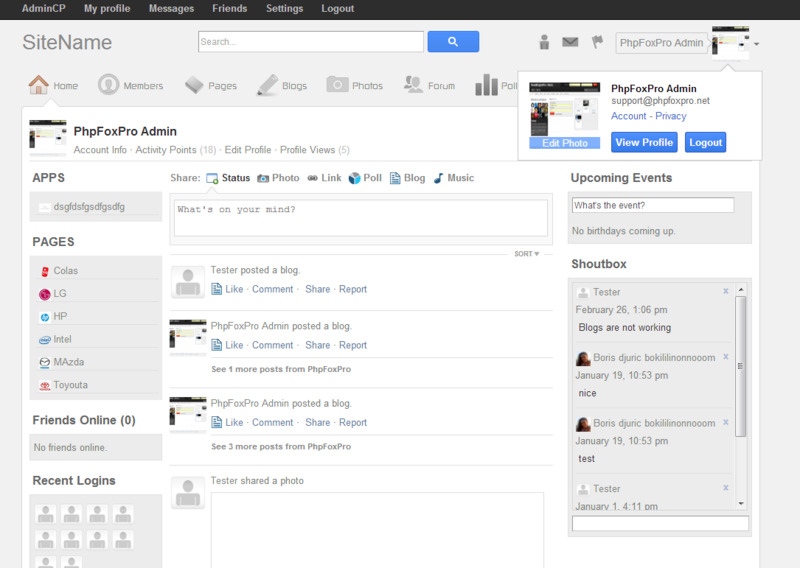 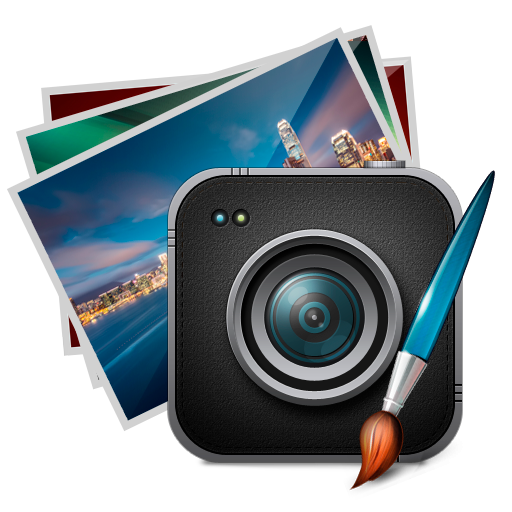 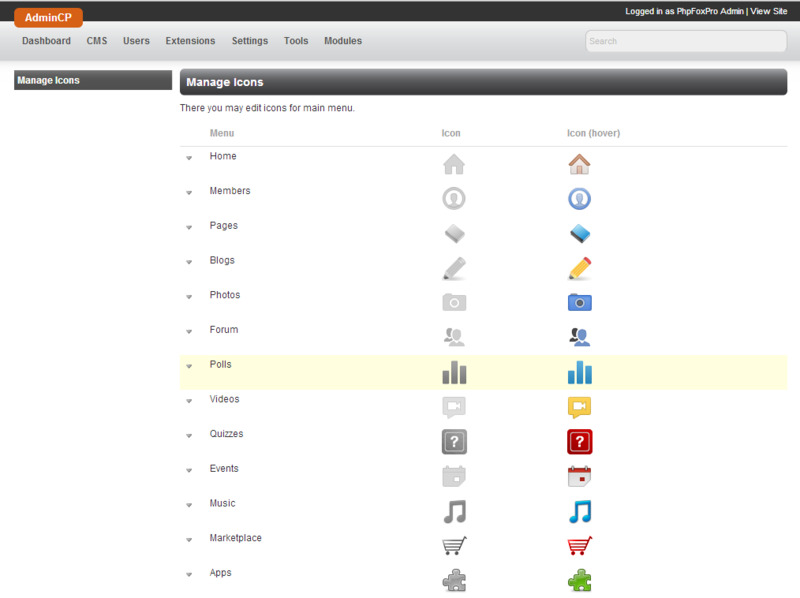 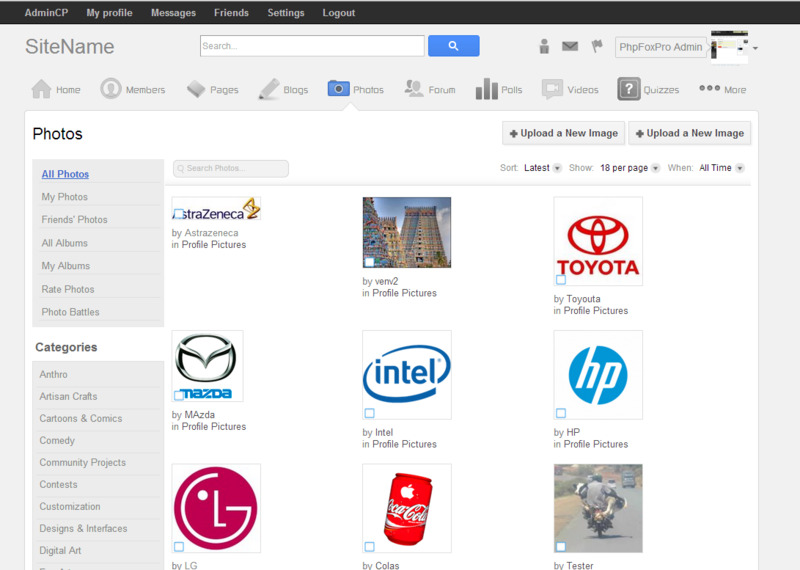 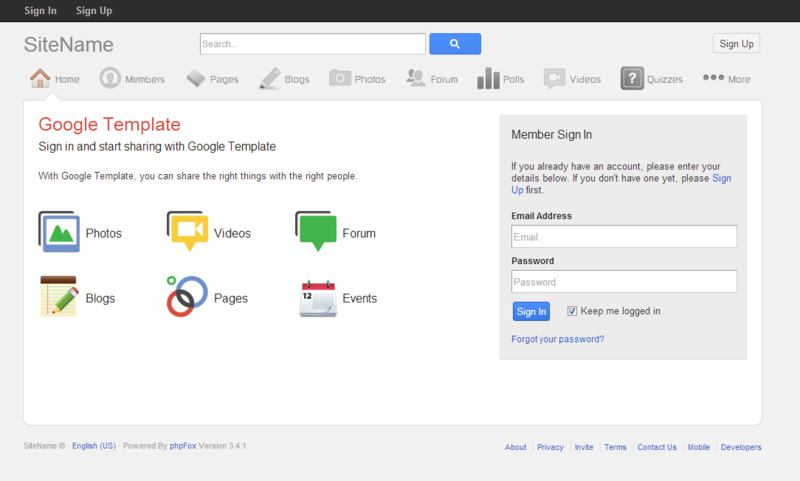 Google Plus Template 3.7.2 - plugin for PhpFox. 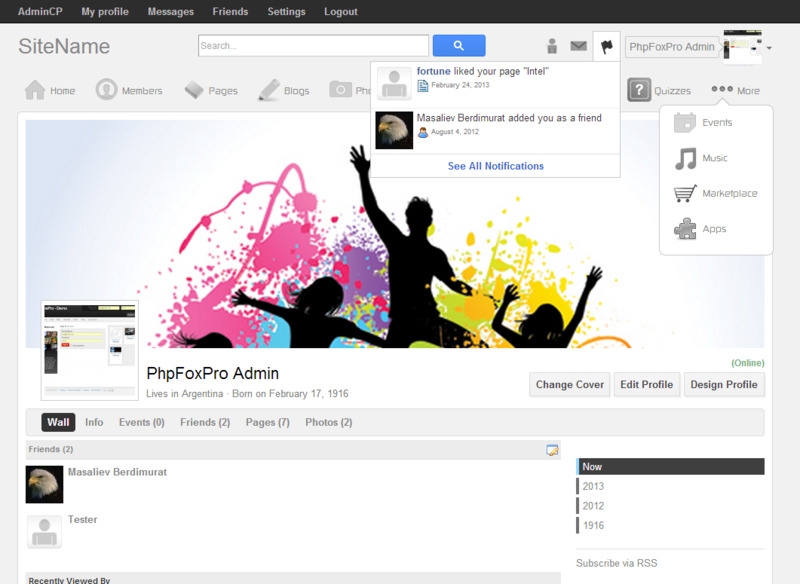 Stylish, trendy and at the same time an usable and clean template for your social network, similar to the popular platform Google+. 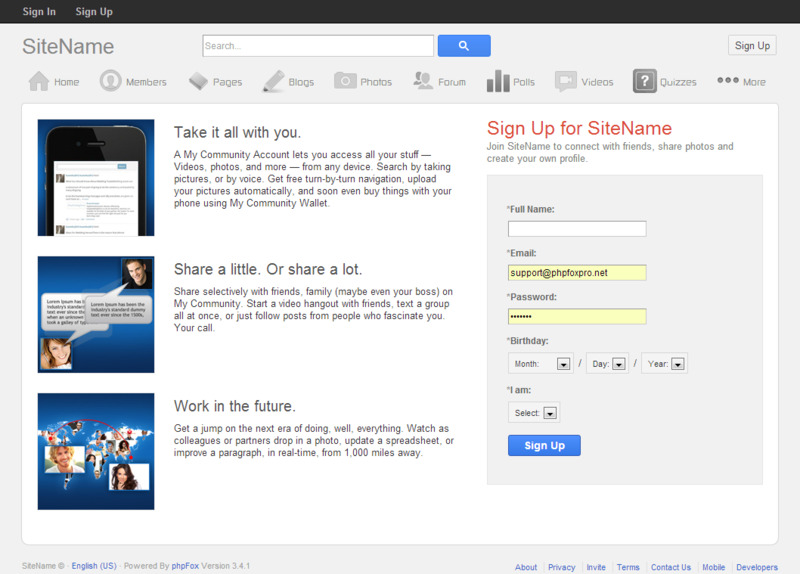 Besides of a template, you will be provided with additional features, such as More button, Share form in header and new customized signup form, which improve registration process on your site to attract waves of a new users!